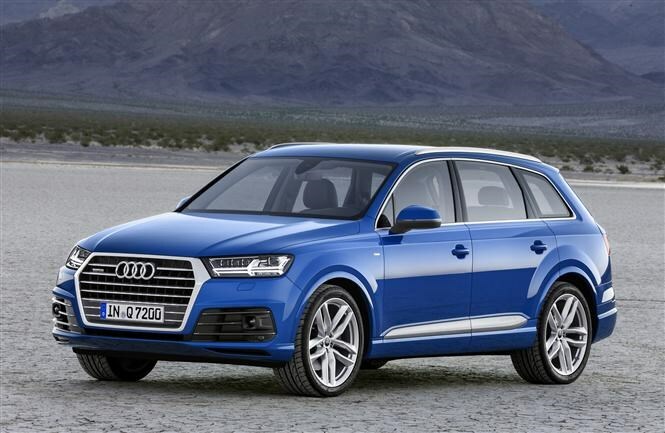 This strange-looking thing is the 2015 Audi Q7 – the long-awaited replacement for the firm’s biggest 4x4. Set to be unveiled at the Detroit Motor Show in January, it’s built on an entirely new platform which it’ll share with the forthcoming Porsche Cayenne and also Bentley’s entry into the off-roader market. 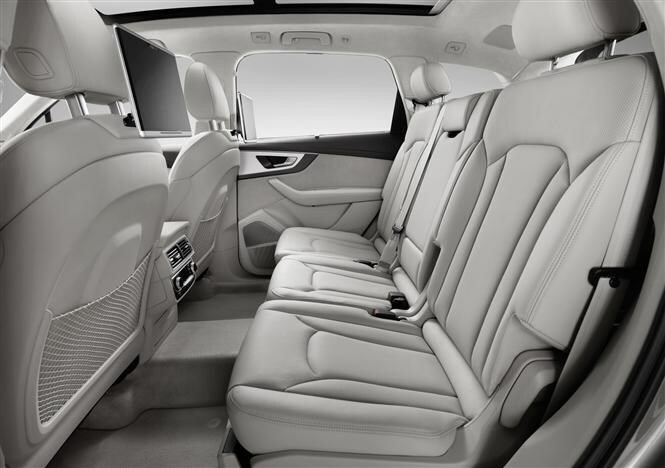 It’s a rival for the Mercedes-Benz M-Class, Range Rover Sport and BMW’s X5. 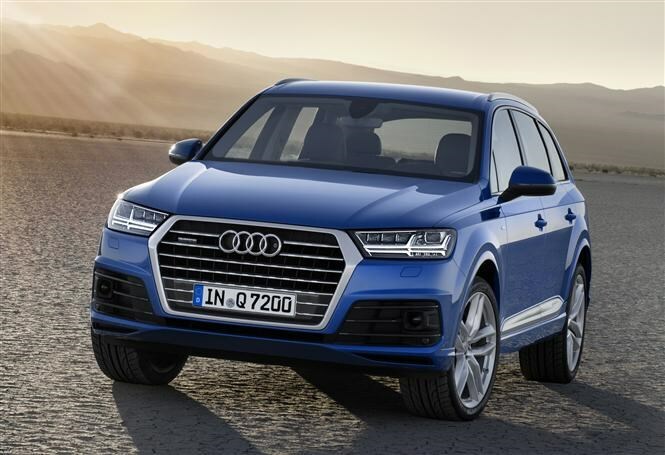 Upon launch early next year it’ll come with a single engine – it’s a 3-litre V6 diesel with 268bhp and 600Nm of torque, which allows the Q7 to accelerate from 0-62mph in just 6.3 seconds. Its top speed is 146mph. 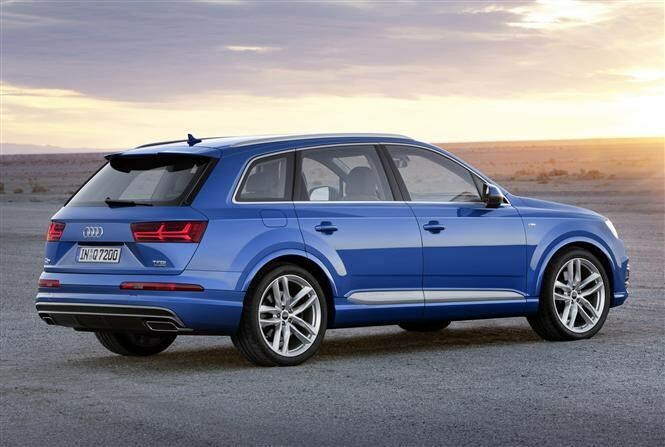 Those performance figures are possible partly because this car is a massive 325kg lighter than the out-going Q7. It’s also slightly smaller on the outside but bigger in, thanks to clever packaging. The reduced weight also means it’s more efficient, with Audi claiming 47.8mpg should be possible. Its CO2 emissions are 153g/km, which is impressive considering the size of the car. There's no manual gearbox available, Audi instead installing a new eight-speed automatic which promises better efficiency than ever and a smooth drive, which should match the V6 engine's characteristics beautifully. A second, lower-powered version of this engine will be available later. This will be far cheaper to run and Audi states will be class-leading in this respect. 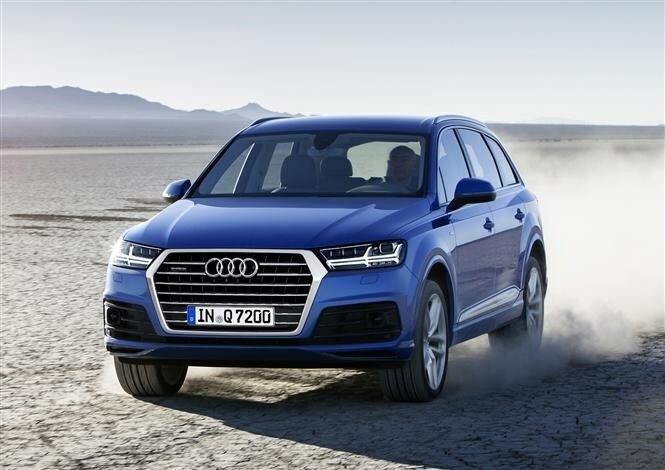 All models get the firm’s famous Quattro four-wheel drive system as well, so as well as looking the part it should be pretty capable off-road too. The interior has been totally re-worked, bringing it right up to the cutting edge of in-car technology. 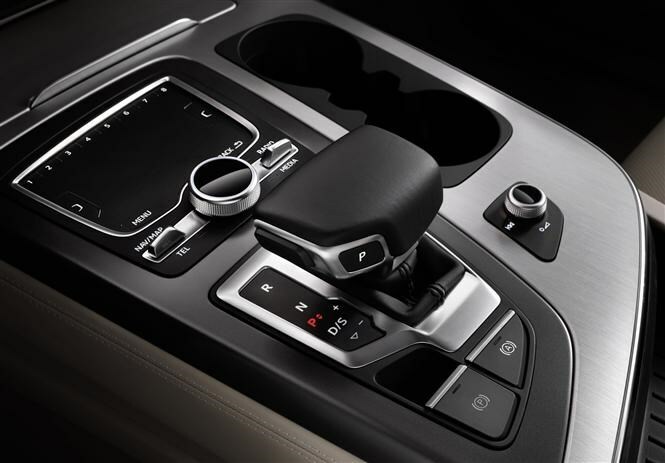 You’ll have the new ‘virtual cockpit’ seen in the latest Audi TT as well as a powerful sound system, a tablet for rear seat passengers, advanced smartphone integration and a touchpad to control all the car’s infotainment systems. 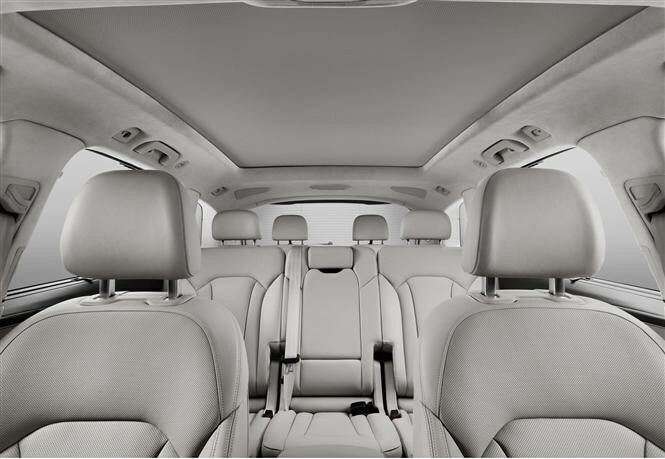 The driver also gets a raft of assistance systems including adaptive cruise control that’ll work in heavy traffic, lowering the concentration levels required for such driving and helping you feel fresher at the end of your journey. 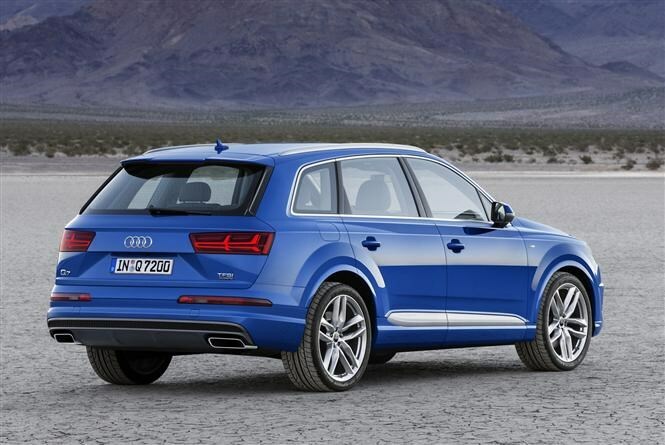 We’re expecting a hybrid version of the Q7 to arrive shortly after launch, too. This mates a diesel engine with electric motors for a total power output of 368bhp and 700Nm of torque, but is also capable of 166mpg on the combined fuel economy cycle and CO2 emissions as low as 50g/km. It’ll be seriously cheap to tax, if not to buy. Launching in January with deliveries starting in the summer and order books open in the spring, Parkers will be among the first to drive this all-new car. Keep an eye out for the Audi Q7 review coming soon.